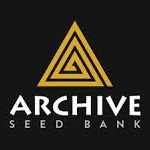 Archive Seed Bank is the breeding program and seed company behind long time continually active online community member and former Overgrow.com member, “ThaDocta”. Originally conceived in 2006, “The Archive” was Docta’s attempt to establish a long term goal at heirloom, verified original cannabis clones and seed lines. He thought they could be preserved via distribution of genetics to closed groups of talented breeders and growers so as to preserve these historic lines through verifiable grows and networks. Clones and seed selections were distributed all across the nation, from SoCal, to the NW, Hawaii, East Coast Colorado, the South East, and in every corner of the country. These heirloom genetics were consciously distributed to trusted friends that would uphold the tradition of genetic preservation through verifiable genetic material and strong relations, Archive shows respect to those who risked their freedom in the 80’s and 90’s preserving and growing these insanely dank heirloom specimens that has allowed us to provide them to the public today. Docta helped contribute to the documentation of 3 strains in the original Canna Bible series and has charitably donated a large portion of his extensive genetic library of clone only strains to be used in original formation of Rare Dankness seeds. verification of authenticity, ThaDocta decided to finally make some of his breeding and rare genetics made available to growers across the planet and not just to those that know about the underground Archive. 35 years of “natural” cannabis cultivation gives us an amazing opportunity to provide you with the best medicine Trinity County provides. Seeds, Tinctures, Salves, CBD Clones, Flowers, and Concentrates available. Cannabis and medical marijuana seed reviews from your favorite cannabis seed banks. Enjoy world-wide shipping and free feminized cannabis seeds with every order. 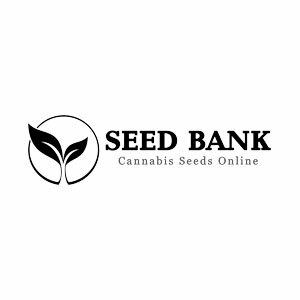 Seed Bank Order is a seed bank that provides a variety of premium genetics and ship worldwide.